I have been slim since I was born. I like to study the life of fat people around me. I found that fat people do a lot of things in their diet and life that thin people don’t do. 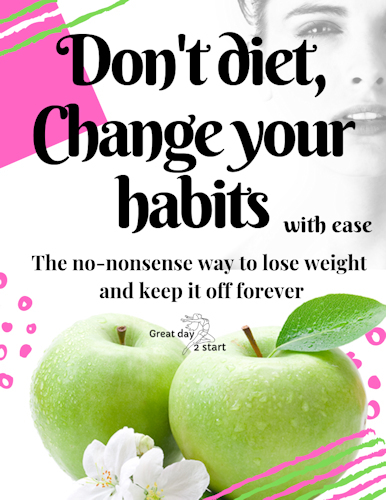 I have also helped my obese friends to lose weight successfully without using diet pills. Now you can learn how to get slender, which without dieting.You can see it immediately，because it’s free in recent days. This book is free from 03/23/2019 until 03/29/2019. I love writing and reading. 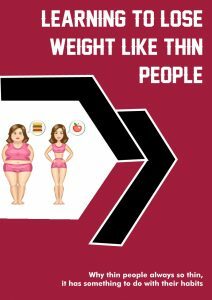 Major research in the field of weight loss, has helped the obese friends around successful weight loss. I like to treat everything in my life scientifically. You can understand me through my works. Have you ever feel so bored in the gym where you don’t know what to play anymore? Or you are too nervous to start on using a new equipment and don’t know how to use it? One day you walk pass a kettlebell and you scream WHAT THE HECK IS THAT! It looks weird. It looks still. It doesn’t even look like an exercise machine! Well, lady and gentleman, I understand you, I have been there before. But after I trial and error for a while, I decided to make this book. This is because there are no books out there give you a detailed calendar that serves the reader to just follow the program and wala, you know how to exercise! 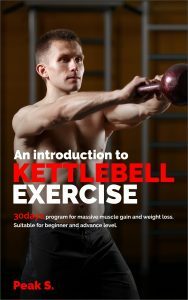 This book provides you with kettlebell program for people who want to start getting ripped, just work out for fun, or lose weight! People who follow this 30days really get the results! They have a better shape, they enjoy the gym more, and they tell their friend to join them!